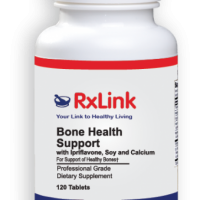 RxLink BioDIM® I-3-C Complex is a blend of DIM combined with Vitamin D3, Vitamin E, Calcium D-Glucarate, Indole-3Carbinol, Green Tea Extract, and Resveratrol. 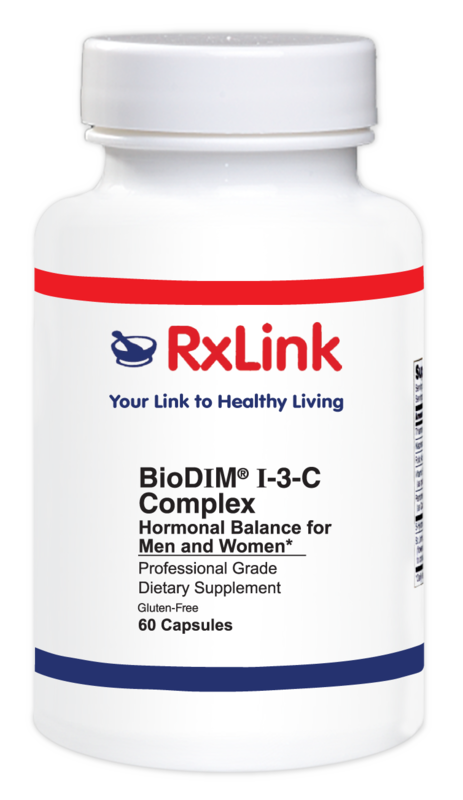 BioDIM® I-3-C Complex supports hormonal balance in both men and women, normal cellular apoptosis, and overall cellular health. 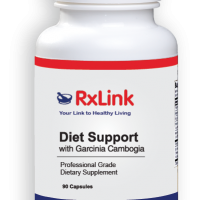 RxLink BioDIM® I-3-C Complex is a blend of DIM combined with Vitamin D3, Vitamin E, Calcium D-Glucarate, Indole-3Carbinol, Green Tea Extract, and Resveratrol. RxLink BioDIM® I-3-C Complex supports hormonal balance in both men and women, normal cellular apoptosis, and overall cellular health. 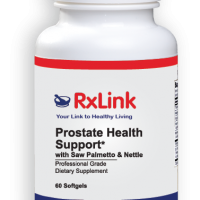 dangerous free radicals that can contribute to prostate problems. 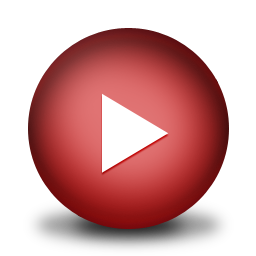 Studies with resveratrol indicate that this polyphenol inhibits the activity of aromatase, the enzyme that converts testosterone to estrogen. 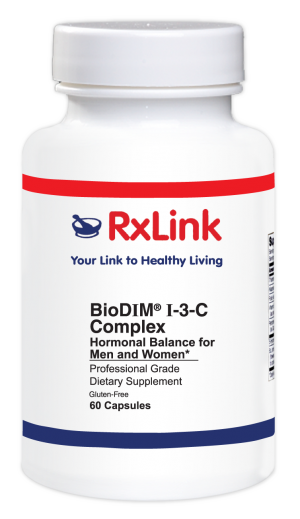 RxLink BioDIM® I-3-C Complex may be a useful nutritional supplement to help support hormonal balance and metabolism in men and women. 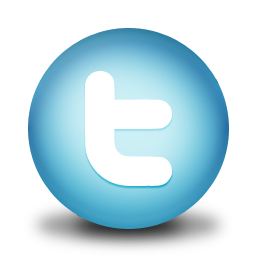 Other ingredients: Vegetable cellulose (capsule), rice flour, silica, and vegetable leucine. Contains soy. 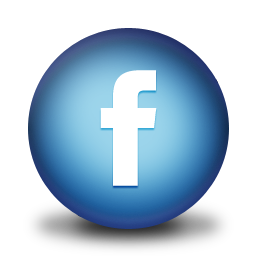 Adults take 2 capsules daily, or as directed by a healthcare professional. Warning: If pregnant or nursing, consult a healthcare practitioner before taking this product.